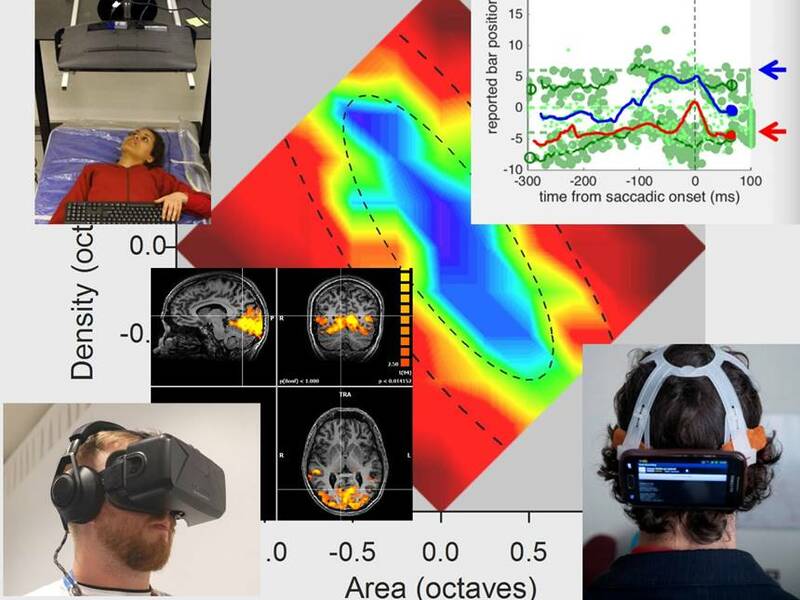 The groups working on psychophysics and functional MRI in humans investigate a great variety of topics in the field of visual science. Research interests span from sheer perceptual processes, such as perception of space, numerosity and time to how these are modulated by voluntary actions, body posture and information in other modalities. A key interest is in how these functions develop and change over time in response to sensory experience and the contribution of the mirror neuron system. Research is carried out with a host of techniques, some purely behavioural such as contrast sensitivity, adaptation, cross-sensory integration, some physiological such as MRI, DTI, EEG, some combining multiple approaches. An important stream of research is focussed on the brain alterations that accompany clinical conditions such as dyslexia, dyscalculia, hemianopia, retinitis pigmentosa, amblyopia and autism. Effort is done to devise new tests for early diagnosis and rehabilitation techniques.